Extra Triple Action Cherry Lozenges contain an active ingredient (Hexylresorcinol) for use in throat medications. 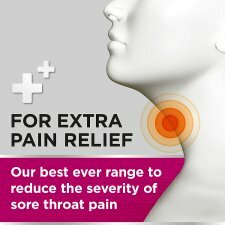 It is used for the symptomatic relief of sore throat and its associated pain. 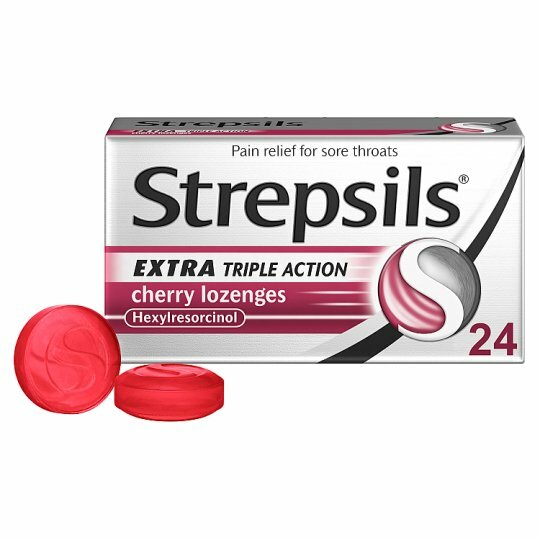 How to use: Strepsils Extra Triple Action Cherry Lozenges are suitable for Adults and Children (over 6 years old) and the elderly. Not suitable for children under 6 years. Dissolve one lozenge slowly in the mouth every 2 to 3 hours. No more than 12 lozenges per day. Do not take more medicine than the label tells you to. For oral administration only.